YouTube is huge. And so is the potential for small businesses that strategically use video SEO to get placed at the top of the charts by Google, other Search Engines, and YouTube. But the problem is that with so many cameras rolling, and the sheer volume of entertainment uploaded by the “average” Joe or Jane every minute, getting your video noticed can quickly become a battle between David and Goliath. 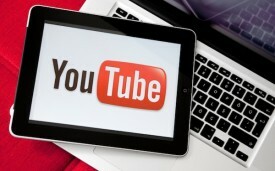 We will set up a custom YouTube account and/or background. We will brand this account based upon the look and feel of your website. We can also Instruct, assist, and recommend suggestions for creating and loading your videos so you can stand out in the crowd. Below is a fantastic infographic that will give you some great information on how to make YouTube work for your small business.